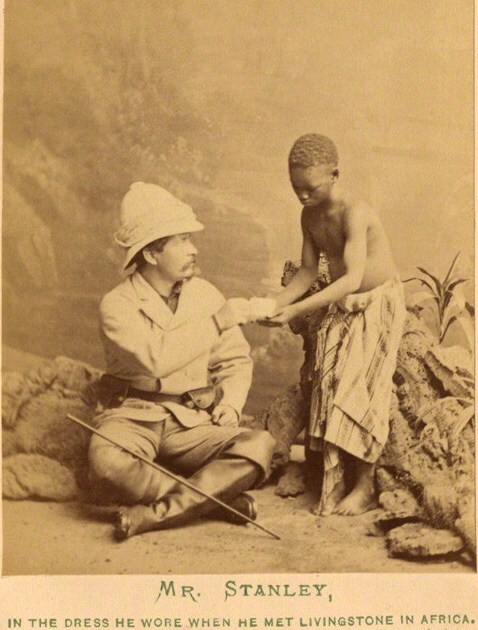 Although grossly misrepresented and inadequate the only thing that epitomizes the English in Africa in the 19th century more than Stanley’s search for Livingstone is a view of the former, in a pith helmet, being served tea by a native. 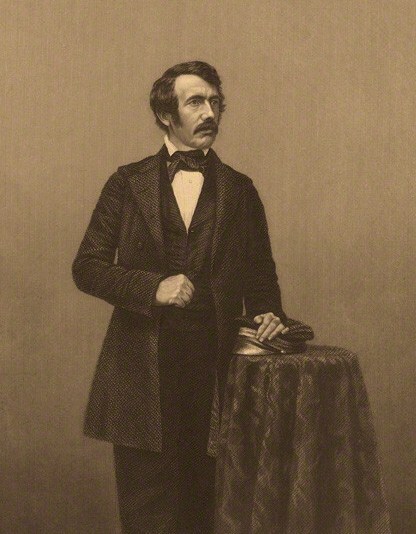 Livingstone was a Scottish Congregationalist pioneer medical missionary with the London Missionary Society who filled the various roles of Protestant missionary martyr, somewhat incongruously of a rags to riches British Horatio Alger, of scientific explorer, an imperial reformer[sic], an anti-slavery crusader, and prehaps most incongruously of all as an advocate of empire. Interestingly enough he had resigned from the London Missionary Society after they demanded that he do more evangelizing and less exploring and he is only credited with converting one African – Sechele who was the chief of the Bakwena tribe. He may have repented of his choice since he took his final breaths while kneeling in prayer at his bedside dying from malaria and internal bleeding caused by dysentery while in present day Zambia. In any event his subsequent glorification as posthumous national hero – buried in Westminster Abbey, no less – in 1874 led to the founding of several major central African Christian missionary initiatives and the London Missionary Society was laying claim to his greatness as late as 1901. Having had success as a missionary and as a missionary explorer – traveling without a retinue that included soldiers – he was the first Victorian to reach Mosi-oa-Tunya (“the smoke that thunders”) waterfall which he promptly anglicized to Victoria Falls. This book covers his Zambezi Expedition which was, for the most part, a failure although he revealed his character with his famous statement, I am prepared to go anywhere, provided it be forward. 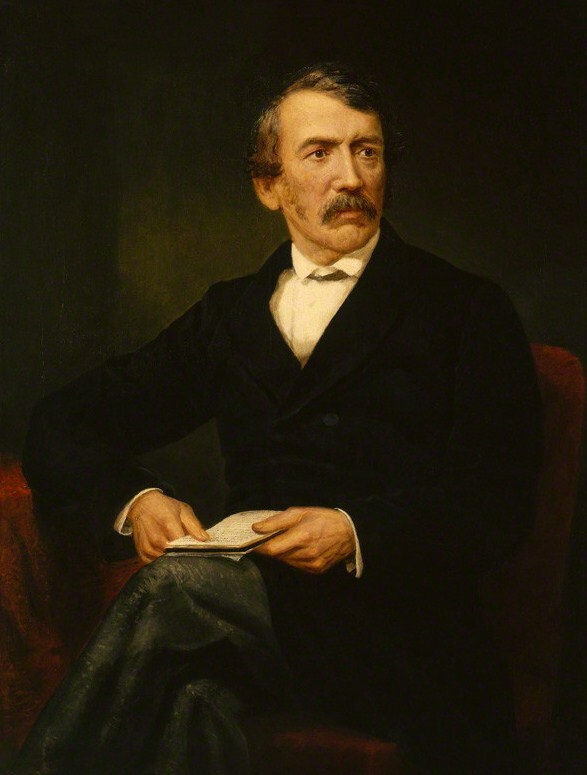 While he had failed in most of his objectives the memoir does not dwell on those failures and in the superlative English prose of the 19th century gives the reader a very British view of Africa. 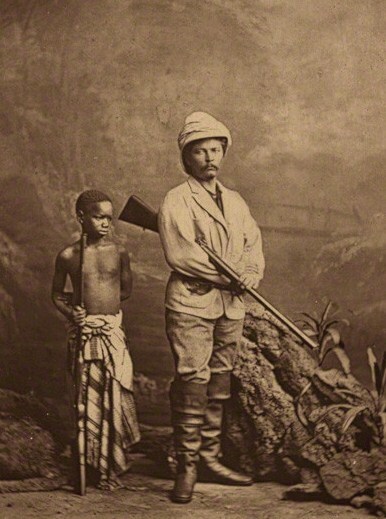 Henry Morton Stanley had been sent to find him by the New York Herald newspaper in 1869 and finally succeeded at the shores of Lake Tanganyika on November 10, 1871 uttering the famous words, Dr. Livingstone, I presume?, ironic since Livingstone was the only other white man for hundreds of miles. But Stanley did not bring him back. 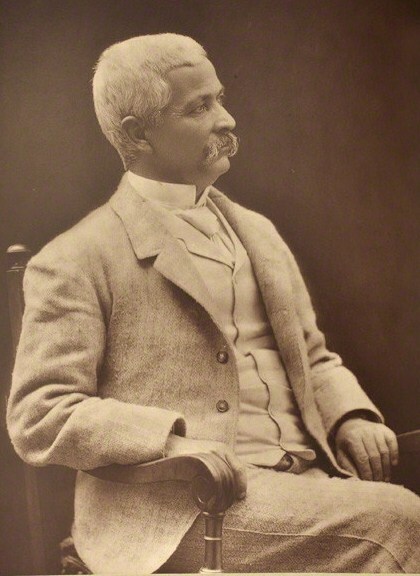 Livingstone had made explorations and received the plaudits of the Royal Geographical Society for them but he was not finished with Africa. He still wanted to find the source of the Nile and so he explored the Lualaba and, failing to find connections to the Nile, returned to Lake Bangweulu and its swamps to explore possible rivers flowing out northwards. He never did find the object of his explorations but I often wonder if maybe he didn’t find himself. 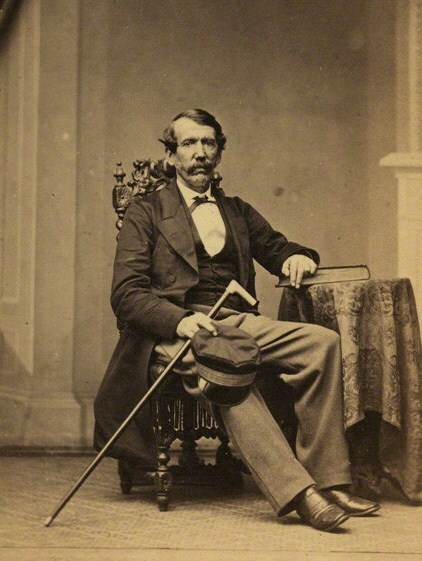 Commissioned during Britain’s golden age for expeditions to chart the Zambesi river for minerals and trade, David Livingstone left England in 1858 for what is today Zimbabwe and discovered an area whose sharp contrast between misery and natural beauty bewitched him. Outraged by the racial injustice he found during the eight-year expedition, Livingstone wrote this gripping account in a refreshingly contemporary style. Worthy of the best writers of the time, the book was an instant success and turned him into one of Britain’s most famous public persona.